If you are a regular reader of easkme then you have learned various ways to make money online. Money making is something that you even think of when you are sleeping. It’s the dream of people all over the world. I like to share every possible way with my readers that can help you to make money monetizing your own interest. Today I am going to talk about online money making by playing online poker & cash rummy games. You may have tried money making so many times but today I am going to share money making in the more fun way where you can make money instantly. When it comes to playing online poker, KhelPlayRummy.com is a good place for the beginners to start making money. Here you can play “Indian Rummy Games online to Win Real Money”. It is a premium Indian Rummy website for card players. You can easily play the online version of 21 cards Indian rummy or 13 cards Indian rummy. Other than these, you can also play Pool Rummy, Deals rummy, Points Rummy, and rummy tournaments. It is also a secure platform for making deposits and receiving money. You can add cash using various options such as credit card, net banking, mobile wallet, paytm wallet and cash cards. You can easily withdraw money between Rs 200 to Rs 10,000 at one time. 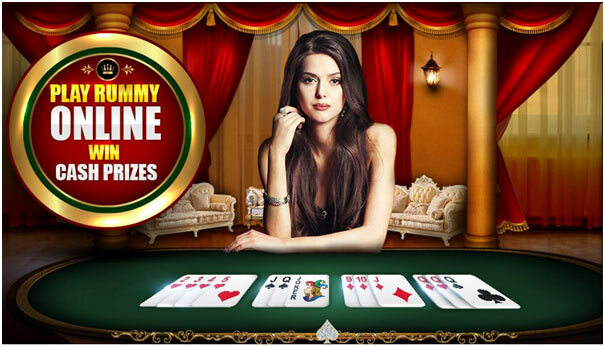 Register to create a free rummy account. You will get 100% rummy bonus up to Rs. 1000. Next step is to deposit cash and instantly access real rummy games to play. Now play and win exciting money. You can also play rummy games using its Android app or iOS app. Win Real Cash - We are giving away Rs. 5,35,000* every month for FREE! Is it legal to play Rummy in India? This is the question that every Indian has in his mind. Playing online rummy is 100% legal in India. Even the Indian Supreme Court has given the decision that playing online rummy in India is legal except 4 states of India such as Telangana, Sikkim, Odisha, and Assam. KhelPlayRummy.com offer 100% bonus up to 1000Rs. upon first deposit. Even if you are an old user of KhelPlayRummy.com, you can make money by referring new users and get Rs. 1000 for each friend you refer.